NASAAn illustration of the Transiting Exoplanet Survey Satellite in space. NASA launched a new planet-hunting space telescope in April using a SpaceX rocket. The Transiting Exoplanet Survey Satellite (TESS), as the spacecraft is called, could discover thousands of worlds fairly close to Earth. Scientists also expect to find about 50 small, rocky planets that may be habitable to alien life. TESS began its two-year mission to hunt for exoplanets on July 25 and may reel in its first candidates for new worlds this week. NASA launched its most powerful planet-hunting telescope to date on April 18, but it’s taken the spacecraft months of manoeuvring to reach a crucial sweet spot. On July 25, TESS – short for Transiting Exoplanet Survey Satellite – finally slipped into a unique orbit between Earth and the moon. The telescope is now starting to scan 85% of the night sky, stare down distant solar systems, and hunt for small, rocky, Earth-like planets. The two-year observation of about 200,000 stars may potentially reveal thousands of new planets within about 200 light-years of Earth – a cosmic stone’s throw away from our world. Sara Seager, the deputy science director for TESS and an astrophysicist at MIT, told Business Insider that it may not take TESS long to find its first planet candidates. “The first science orbit of data (13.7 days) is coming down tomorrow and the TESS Science Team will begin planet hunting soon after that,” Seager said in an email on Monday. Seager and others expect to find dozens of Earth-like worlds in the coming years, perhaps doubling scientists’ inventory of potentially habitable exoplanets. The research may also lead to the first looks at the atmospheres of small, rocky alien worlds, and maybe – just maybe – the first indirect evidence that extraterrestrial life could exist beyond our solar system. After SpaceX launched TESS, the car-size spacecraft spent more than two months winding out to an orbit between Earth in the moon. Researchers then checked out the spacecraft (and took some photos of a passing comet) remotely before officially kicking off observations. 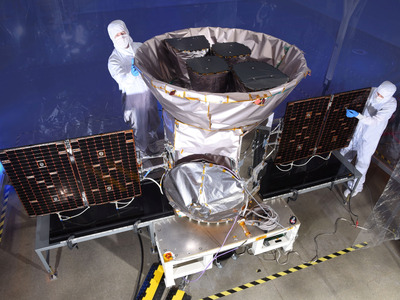 In many ways, TESS is an extension to the biggest boon in NASA’s search for exoplanets, called the Kepler space telescope. Kepler launched in March 2009 and stared at a small patch of space for more than three years. This enabled the telescope to record very subtle dips in the brightness of stars – a telltale sign that a planet is passing in front. 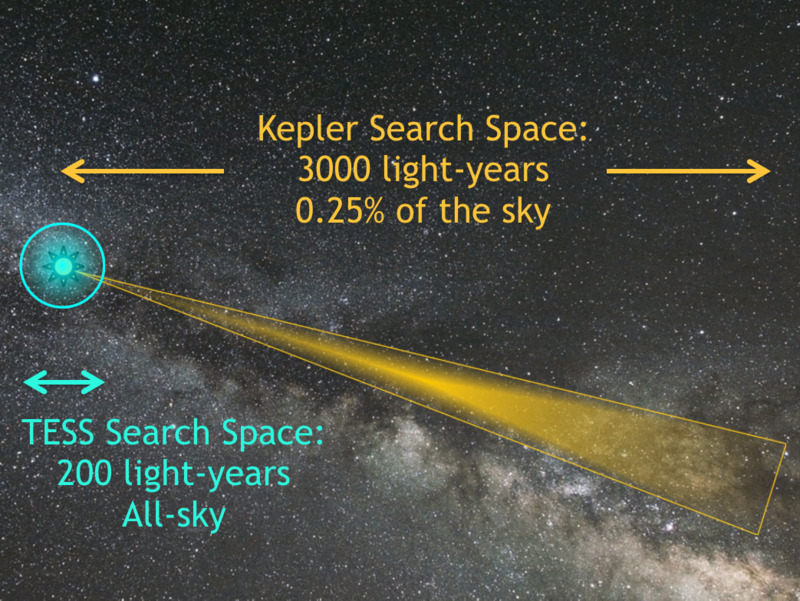 In two multi-year missions, Kepler has found nearly 4,000 planets. This led scientists to an astonishing realisation: There could be about 2 trillion planets in our Milky Way galaxy alone, or some 10 per star. 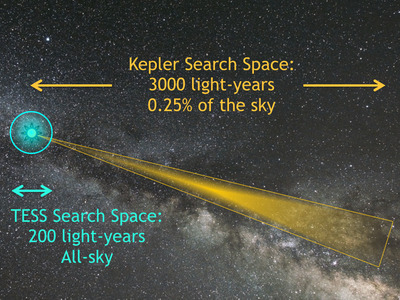 Kepler also found about 50 rocky, Earth-size worlds that may be habitable. A Google artificial intelligence algorithm has since sifted through the data and possibly detected even more. But Kepler is on its last leg, as it has nearly run out of fuel (though it did recently wake up from a potentially deadly nap to beam back new data). TESS will use a technique to find planets that’s similar to Kepler’s approach, yet it will be an eminently more powerful mission. If Kepler’s search area was like a shotgun blast, then that of TESS is an exploding grenade or bomb. TESS will conduct its hunt by taking pictures of a different sector of the sky every 27 days. All of the sectors overlap, enough in some parts to provide about a year’s worth of transit observations. The spacecraft will use its unique vantage in space and four cameras to stitch together a huge map of about 200,000 stars – about 33% more than Kepler studied. The observation area for TESS will also be about 350 times as large as Kepler’s and about 15 times as close. “TESS will discover thousands of planets and is further specially designed to find a pool of small planets transiting small stars,”a website for the project explains. 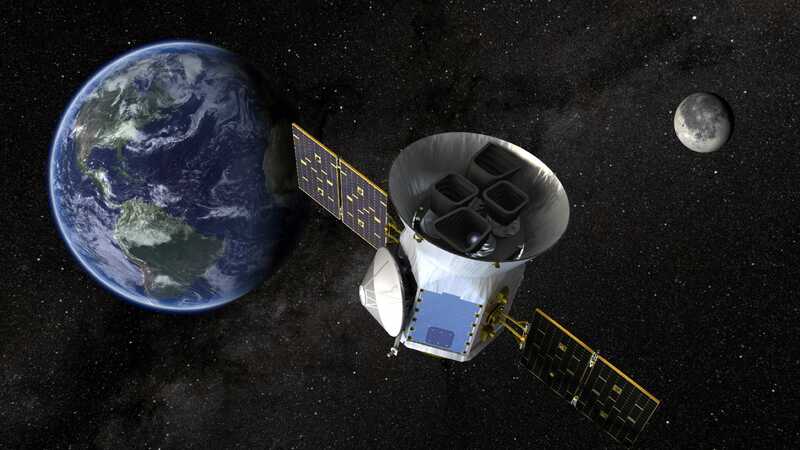 Researchers working on TESS expect to find at least 50 rocky, Earth-size worlds for scientists to scrutinize – about double what Kepler has found. However, TESS is likely find many more than that, as it is viewing more stars (and Kepler defied its creators’ predictions). However, Seager said it’s “anyone’s guess” when TESS’ first newly discovered worlds will be confirmed. “Finding planet candidates is just the first step in a lengthy follow-up process to discriminate between actual planets,” she said. That follow-up has to account for other factors that could skew the data, such as two-star systems or any peculiarities with the spacecraft’s cameras. 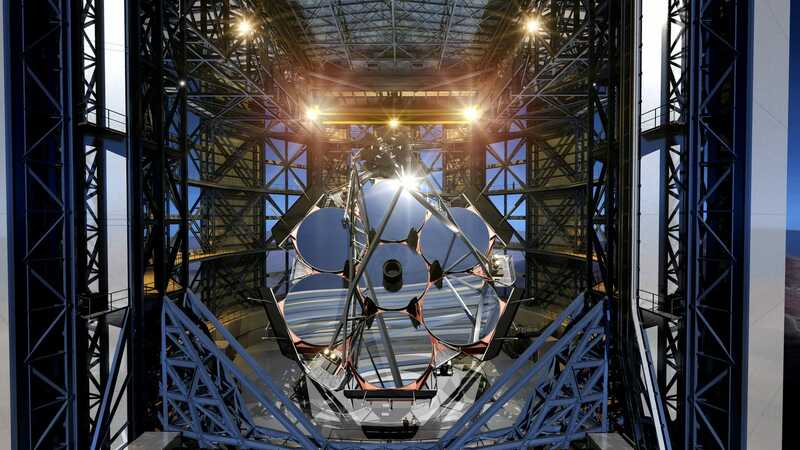 Once TESS’ discoveries are confirmed, however, they could prove vital to the work of NASA’s upcoming and powerful James Webb Space Telescope (JWST), which is scheduled to launch after March 2021. The next-generation observatory will rival the abilities of the Hubble Space Telescope and will be the largest observatory ever launched into space. 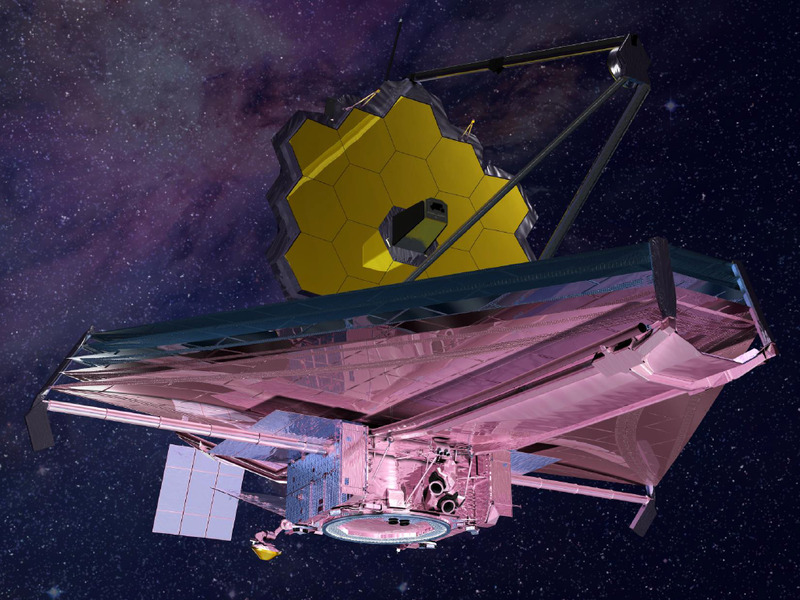 JWST will take pictures in infrared light, which is invisible to human eyes yet perfect for studying planets through clouds of gas and dust in space that typically obscure distant worlds. TESS’ fresh catalogue of nearby and likely Earth-size alien worlds will give JWST many compelling targets to study in detail. 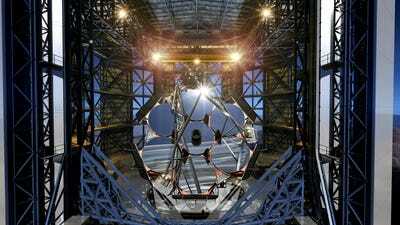 JWST might even sample light from an exoplanet’s atmosphere to look for indirect evidence of life. The ability to study the air supply of a distant Earth-size planet is made more possible by yet another telescope: the Giant Magellan Telescope (GMT), one of the two largest ground-based observatories under construction today. Slated to open in 2023, GMT is designed to resolve details four times finer than JWST. This may help astronomers study exoplanets in ways what they have been dreaming of since the first confirmed discovery of an alien solar system in 1992. “As a planet passes in front of its star, a large telescope on the ground, like the GMT, can use spectra to search for the fingerprints of molecules in the planetary atmosphere,” Patrick McCarthy, a leader of the project, said in a previous statement to Business Insider. Giant Magellan Telescope – GMTO CorporationArtist’s representation of the seven giant mirrors installed in the Giant Magellan Telescope. For example, if a planet’s atmosphere were to have a mix of oxygen and methane gases – similar to Earth’s atmosphere – that could be a “fingerprint” of life’s presence on an exoplanet.